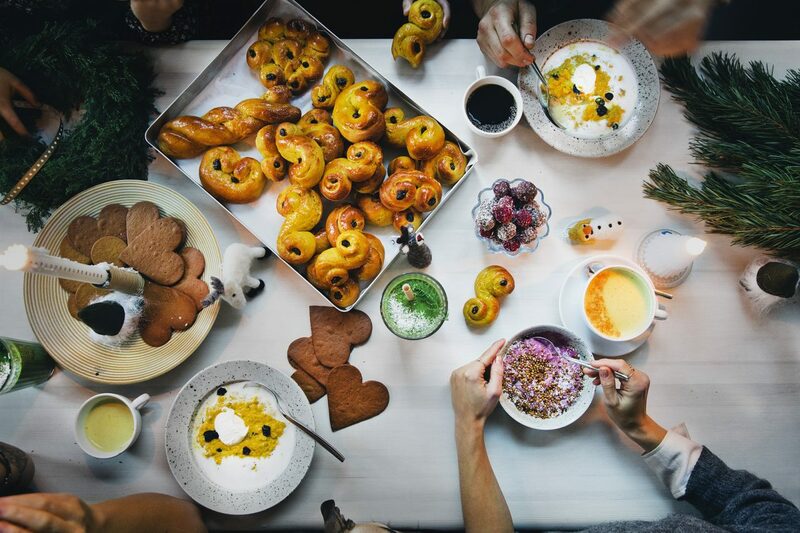 There is a special place in Stockholm where we go when we want to get closer to nature, and it is incredibly beautiful this time of the year. 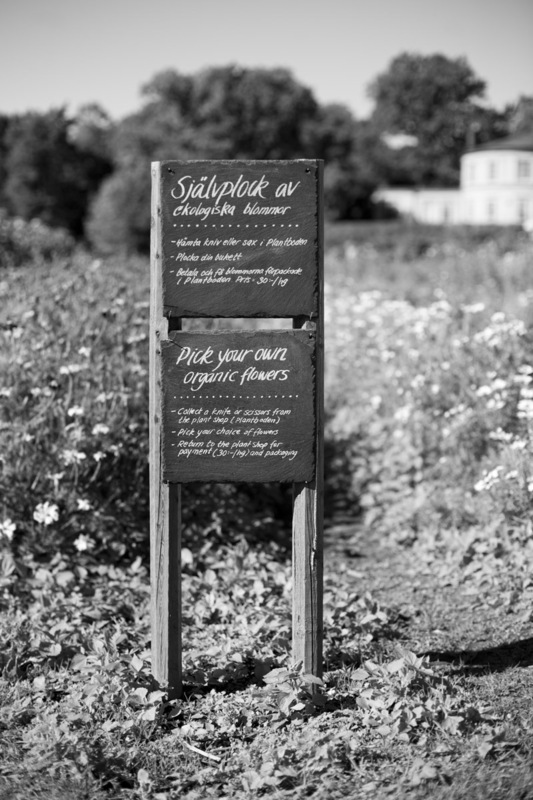 Rosendals trädgård is an organic garden on the island Djurgården in central Stockholm. They sell fresh seasonal vegetables, fruits and flowers. There is a cute café inside one of the greenhouses, a bakery, a gardening shop, a deli shop and a giant apple orchard. Unfortunatly we are not the only persons in Stockholm who visits Rosendahl, quite the opposite actually. On a sunny weekend it is often very very crowded, but once you are sitting there with your lunch under the apple trees everything else fades away and it feels like you are all alone. 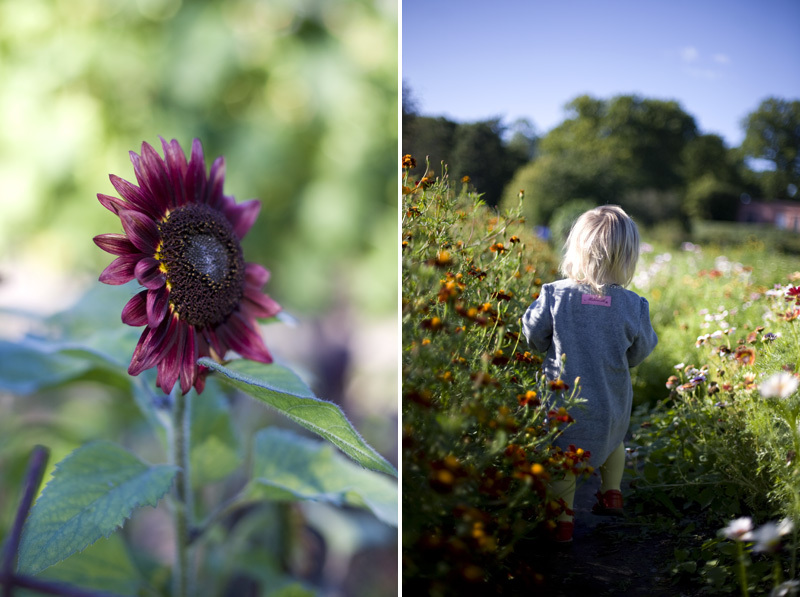 A few Saturdays ago we decided to take the boat to Rosendals Trädgård to have lunch, play with Elsa under the apple trees, buy some fresh kale and pick a bouquet of organic autumn flowers for a cake idea that we had been talking about. 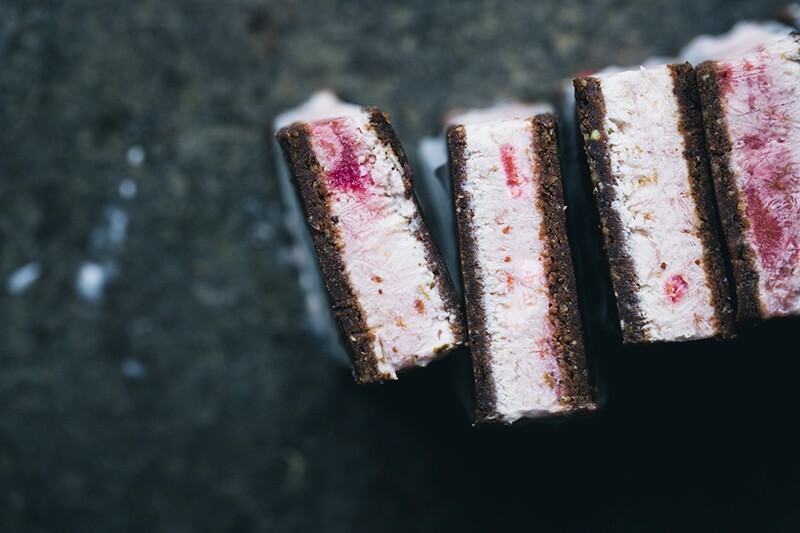 Here are some pictures from our day, and if you scroll down we also share the recipe for the insanely delicious raw and vegan Flower Power Cake. This cake started out with a conversation that me and David had about our lifestyle. We don’t eat meat. We drink plant milk. We love greens, herbs and seeds and we use flowers in our cooking and as food decoration. If we would have lived during the 1960’s there is no doubt that we would have been hippies. As we started talking about it, we admitted that we actually feel like hippies even today. Hippies of the 21st century ✌. If you like and read our blog we are guessing that you probably are as well, right? 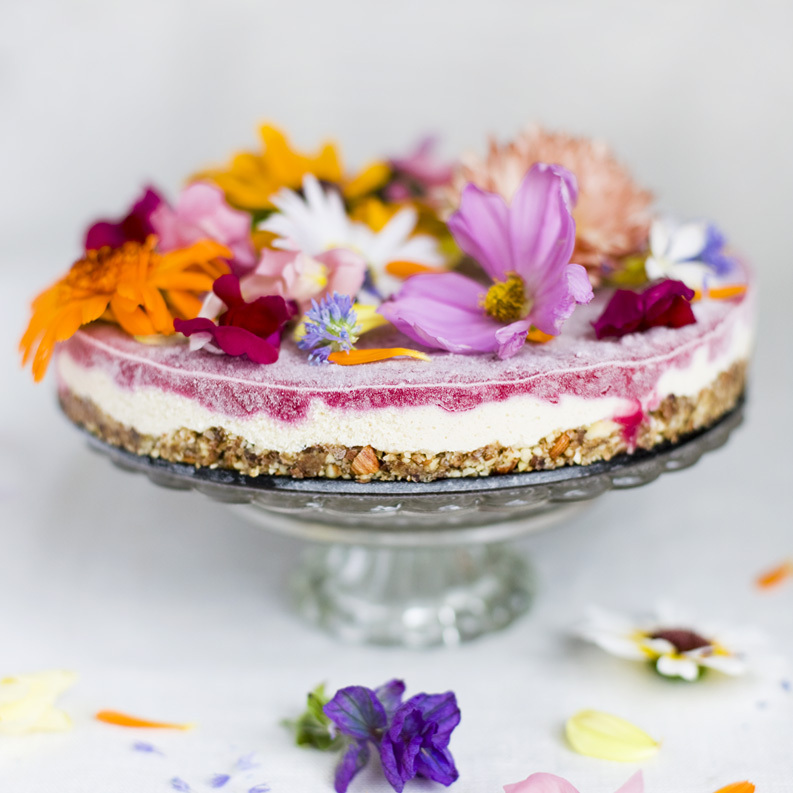 So in the name of peace, love and understanding we made this raw and vegan cake, packed with superfoods and decorated with a whole bouquet of flowers. It was just something we did for fun. Like a celebration. Little did we know that it would turn out to be one of the best cake we had ever tried. 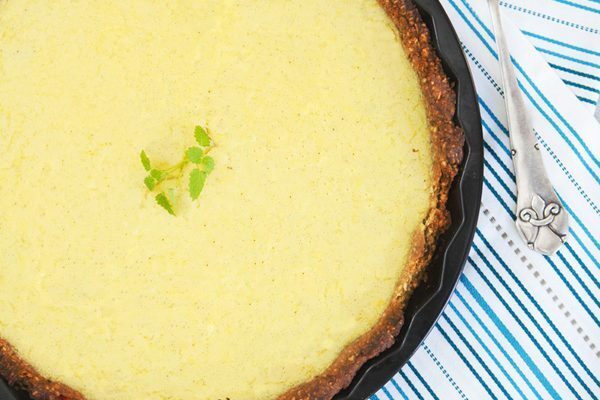 Crunchy, lemony, fruity and sweet. It’s not an exaggeration, this cake is crazy good. Make it tonight. It is completely volontary to eat the flowers. We used them mainly because they are pretty. Making the crust: Grind nuts and seeds in a blender or a food processor for about a minute. Add dates, coconut oil and sea salt and run the processor until it all comes together. Flatten it out on the bottom of an 8-inch non-stick spring form. Store in the fridge while you make the filling. Clean blender or food processor well. Making the filling: Warm coconut oil and honey in a small saucepan on low heat until liquid. Whisk to combine. 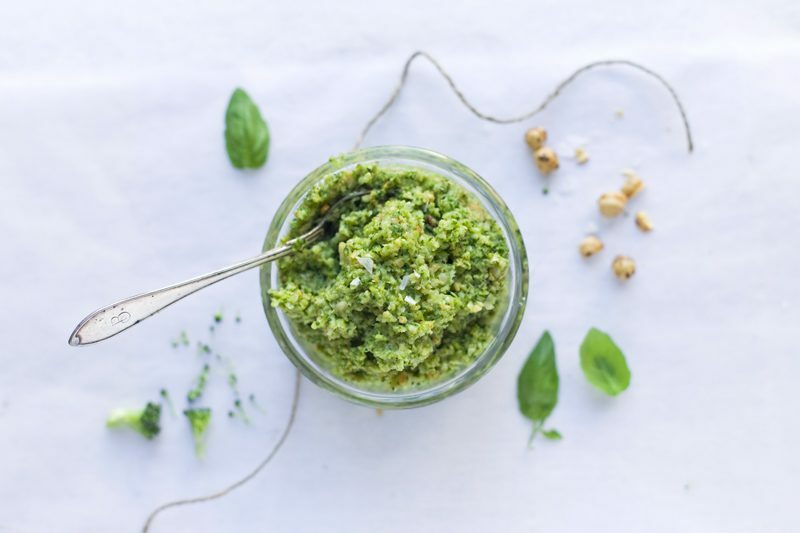 Place soaked cashews, lemon juice and zest, vanilla, coconut oil, honey and rosehip in blender or food processor and blend on high until very smooth (this make take a couple minutes so be patient). Pour the filling over the crust and place in the freezer for 30 minutes or until set. Clean blender or food processor well. Making the topping: Place pomegranate seeds, raspberries and lime juice in a blender or food processor and blend until smooth. Pour the topping on top of the cashew filling, place the cake back in the freezer for about 30 minutes. Serving the cake: Remove from freezer 30 minutes before eating. Decorate the cake with fresh organic flowers. Run a smooth, sharp knife under hot water and cut into slices. 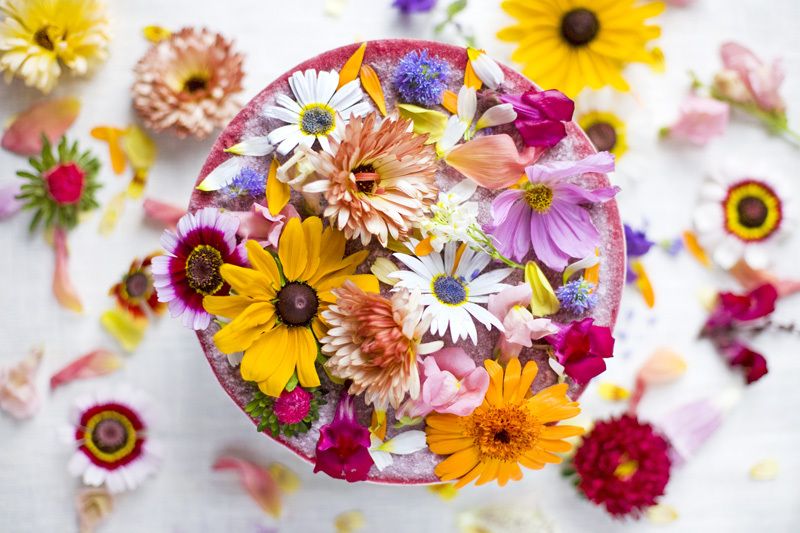 Edible flowers: Viola-type flowers, Calendula, Roses, Rosehip, Dandelions, Carnations, Lavender, Cornflowers, Pea flowers, Day Lilies, Chamomile and many more. Ps. If you look in the top right corner you will find a new link to a site about our upcoming iPad. We will have photos, previews and an instruction video there soon. But right now you can leave your email there if you want to be in on the latest. Hopefully it will reach the app-store within the next couple of weeks. Next Green Kitchen – the iPad App! Colorful and joyful, a lovely celebration of peace indeed! Take care! Possibly the most beautiful cake I have ever seen. You are both awesome and I would love to be a hippie too. I dream of living in a commune in Italy. Den fina kakan hade jag lätt smällt i mig nu. Så vacker! Ser fram emot appen. Super, love all your raw and vegan recipes! W.o.W. This looks so incredible and healthy that I might just grow a cape and fly around the back yard. Ooooh lovely! But how much coconut oil? Dying to make this while we're getting a little heat flash here in Canada. Ahh... heat flash in Cananda :) oops, here it is: 1/3 cup (0,8 dl) coconut oil. Happy Cooking Laura. WOW! That is probably the happiest cake I have ever seen :) Beautiful! And sounds delicious! Love the hippie theme! Love, love, love this! What a happy cake! Defenitely the best thing you can look at, on a Sunday morning. Thanks for these beautiful pictures! You made my day. Doh! Just noticed they are at the bottom of the post! Obviously this is gorgeous! 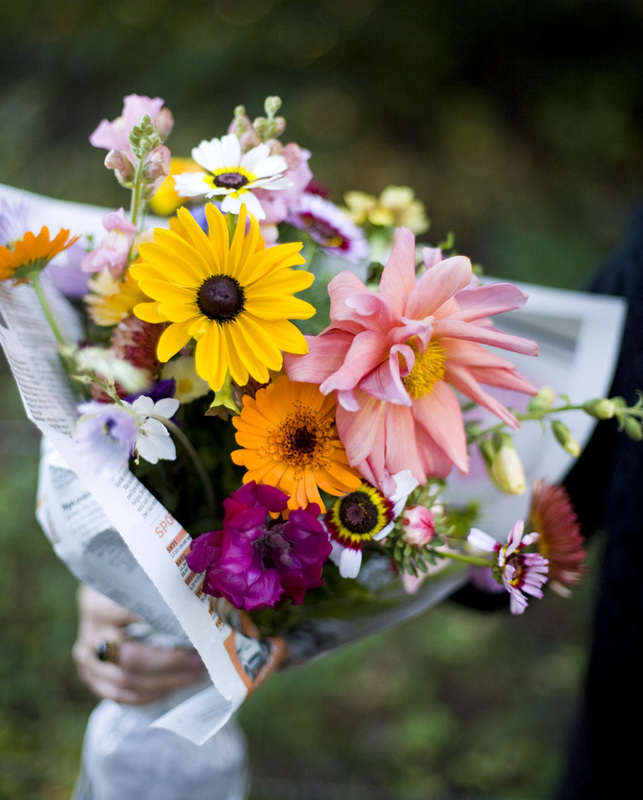 What sort of flowers do you use? I've always been keen to get some seeds eventually so I'd like to familiarise myself with all the names etc.